Cold, light, sweet, and caffeinated, caffè shakerato is the warm-weather drink we so desperately need. So what we can't figure out is this: If you can order a cappuccino at mostly every cafe in the year 2018, how come the same isn't true for caffè shakerato, an equally divine Italian espresso beverage? We demand answers, especially now that the weather is warmer and we're beginning to gravitate towards chilled caffeination. We wish the beverage were more readily available in this country, and we're not sure why it isn't—though some hipper cafés will make it for you off-menu, and the very hippest have it on-menu. But first, a primer on the shakerato. The drink is super simple, and certainly far less complicated than its flashier American second uncle, the frappuccino. It's just espresso, sugar, and ice, shaken vigorously until frothy and light. The beverage is so texturally creamy that upon your first sip, you may suspect a drop of milk, but there's none—at least not traditionally. Shakeratos are often served inside martini glasses, or glasses with wide openings that showcase the rich foam that piles on top. If you're feeling extra, you can ask for a dollop of panna, or whipped cream. We're usually feeling extra. Francis Cretarola, of the fabulous Abruzzese restaurant Le Virtù in Philadelphia, suspects that its lack of popularity in America has to do with training. "A lot of people haven't invested the requisite time and training into making it correctly," he says. "It will slow down service, and for some places that's a major issue." But he plans to add it to his menu soon. "We are teaming with La Colombe next month, moving over exclusively to their product, and when we do, we are going to make a big push on all things café related," he says. 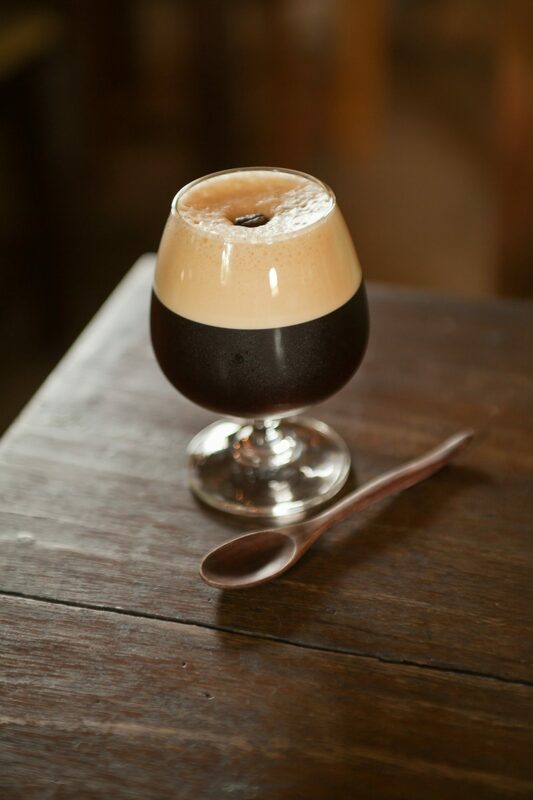 "Including the shakerato, both as a pure café drink but also an alcoholic variant. Because the shakerato, as good and revelatory as it is, it's also subtle, light, and—as traditionally made in Napoli and elsewhere—small." Because you can't find it on many American café menus, we've taken to making it at home. But there's nothing better than rolling up to an Italian bar and ordering a cold, sweet shakerato on a warm day, and we wish more places here offered it. Fortunately, a few people are spreading the good word. Heather Perkins of DiAnoia’s Eatery in Pittsburgh is making a shakerato with booze: guests can choose limoncello, sambuca, or amaretto to add to the shaken espresso concoction. That sounds quite good, actually. "In Europe, it's as common as a macchiato is in America," says Perkins. "I do think they will become more popular in the states because of the cold brew/nitro coffee trend."